Napa’s Art Scene: The What, When, Where, and WOW! For all art enthusiasts, critics, fans of creative minds, Spring brings to Napa a world of imaginative spectacles. Stay up to date and mark your calendars with these exciting events in the arts. And of course don’t forget to enjoy the most artistic adventure of all by spending time in a Napa hot air balloon! April 7-28 – Every Saturday in April, Flora Springs hosts art demonstrations, installations, and performances. This celebration of contemporary art gives visitors a peak of artists’ artistic processes. Watch how a painter bring their canvas to life, see sculptors create masterpieces, and listen to live music while sipping on world-class wines. April 21 – First Street Napa: Artist Alley – downtown Napa’s newest addition is First Street Napa, and on April 21st, come see 8 large-scale murals and art installations from artists all over the Bay Area and of course live performances. April 28 – Yountville is hosting Art, Sip & Stroll on Washington Street where there will be over 40 artist booths, tastings, and live music in the parks and plaza. A food truck will be there to feed the hungry visitors. April 13-15 – Emergence Festival is an annual celebration by the Napa Valley College Students. Enjoy new plays, dance pieces, and pother expressions by local students and staff. April 14 – Symphony Napa Valley: Beethoven Extravaganza at Lincoln Theater features over 200 musicians and singers to perform innovative and unusual works. Get ready to be in awe by raw talent from the local community. April 20 – Don’t miss Kathleen Madigan, a trail-blazing female comedian with a stand-up show featured on every late-night show from Letterman to Conan. Did you know riding Napa Valley balloons is Artistic Experience? What comes to mind when you think of a Napa hot air balloon? Perhaps you picture the lush green vineyards, the rolling hills, and the beautiful clouds while Napa Valley balloons float. The process of rising and flying a balloon is as much of an art as any. As the Napa hot air balloon starts to fill up, the movement of the Napa hot air balloon is a beautiful image. During the flight itself, the artistic endeavor continues as the pilot navigates the balloon according to the wind and wind directions. 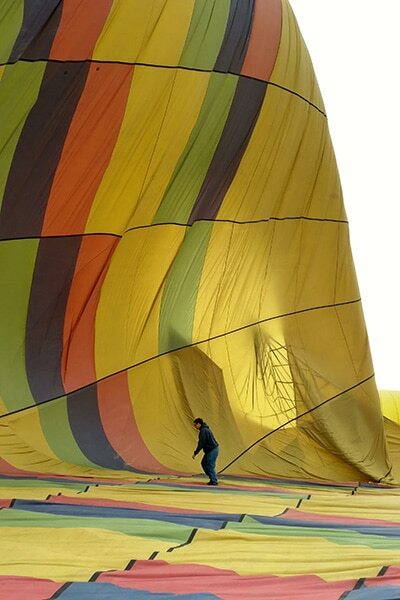 The pilot is an fluid artist determining what direction the wind is blowing at altitudes other than just the balloon. This vision comes from experience. As an artist envisions where to place the next stroke of paint, the pilot too must envision how to guide this Napa hot air balloon. Pilots look at clues like smoke from chimneys, flags, etc. to determine directions even more to guide their Napa Valley balloons. The greatest part of a Napa hot air balloon is of course the view from the top. That view is a masterpiece. 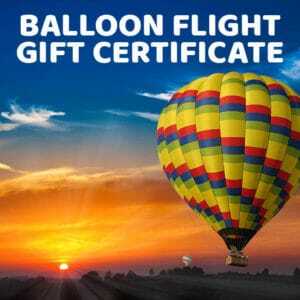 Balloons Above the Valley knows that experiences in Napa Valley balloons can create long-lasting memories. A Napa hot air balloon allows you and your loved ones to get carried away with the wind. Your pilot is an experienced artist ready to create a masterpiece for you. Enjoy the beauty of Napa Valley balloons with your family, or perhaps with your friends followed by a Champagne Brunch. Or maybe book a group package for a company outing or a bridal party. The magic of a Napa hot air balloon doesn’t have to end there. Balloons Above the Valley offers a wine tour package for those who enjoy the art behind winemaking. The Valley is always alive with art in all forms. So venture out into Napa for it’s incredible art – whether it’s in the form of a painting, a performance, or a Napa hot air balloon! Check out all that Balloons Above the Valley has to offer and explore the various Napa Valley balloons through the different packages.